The six-second video, which was making the rounds on social media Tuesday, shows the bare-bottomed man punching the window of an NYPD police cruiser parked in front of 352 7th Avenue at 11:40 p.m. Sunday evening. The man punched the squad car at least nine times while the man capturing the footage from a vehicle looked on in shock, according to the video. 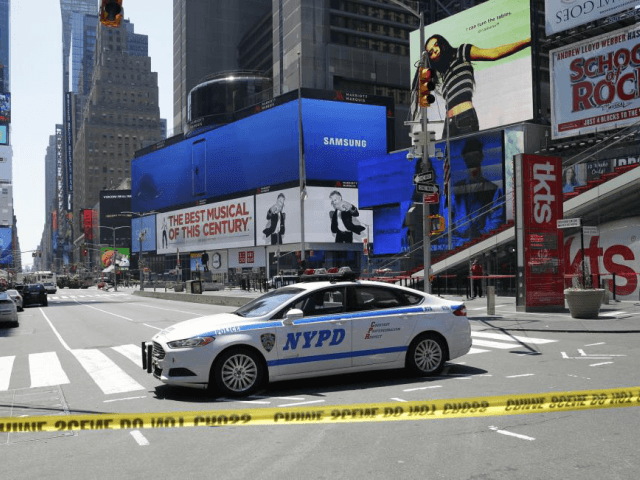 Authorities said police took the man, who has not been identified because he was not charged with a crime, to Bellevue Hospital for a psychiatric evaluation. Police said the cruiser did not suffer any damage. The video has gone viral on Twitter, racking up more than 91,000 views as of Tuesday evening.